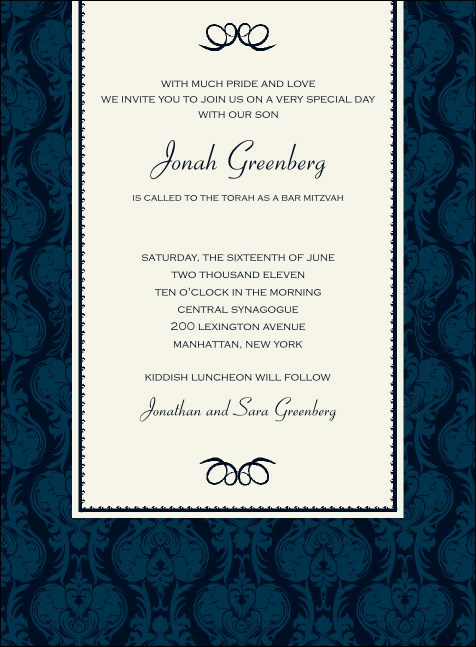 Keep your day classy with the Bar Mitzvah Navy Invitation! When you're called to the Torah after so many years of study, you want to be surrounded by family and friends. This Invitation template offers an excellent way to share all your event details so you can dazzle them with your dvar Torah and let them cherish your chanting. TicketPrinting.com wishes you much mazel!